Albert Einstein was born on March 14th, 1879, in the city of Ulm, then part of the Kingdom of Wurttenmberg (now the federal German state of Baden-Württemberg). His parents were Hermann Einstein (a salesman and engineer) and Pauline Koch, who were non-observant Ashkenazi Jews – an extended community of Yiddish-speaking Jews who lived in Germany and Central Europe. In 1880, when he was just six weeks old, Einstein’s family moved to Munich, where his father and his uncle founded Elektrotechnische Fabrik J. Einstein & Cie (a company that manufactured electrical equipment based on direct current). In 1894, his father’s company failed and the family moved to Italy while Einstein remained in Munich to complete his studies. In 1884, Albert Einstein attended a Catholic elementary school, where he remained until 1887. At that time, he transferred to the Luitpold Gymnasium, where he received his advanced primary and secondary school education. 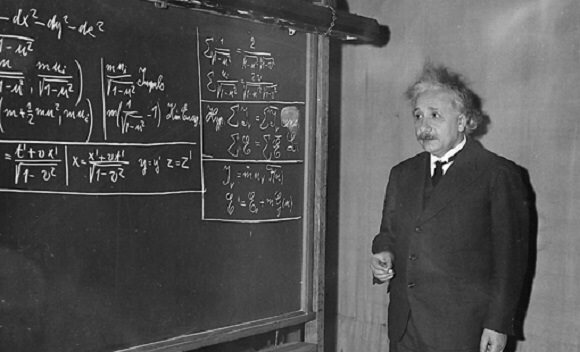 His father had hoped that Einstein would follow in his footsteps and go into electrical engineering, but Einstein had difficulties with the school’s teaching methods, preferring self-directed to rote learning. It was during a visit to him family in Italy 1894 that Einstein wrote a short essay titled “On the Investigation of the State of the Ether in a Magnetic Field” – which would be his first scientific publication. In 1895, Einstein took the entrance exam to the Swiss Federal Polytechnic in Zürich – currently known as Eidgenössische Technische Hochschule Zürich (ETH Zurich). Though he failed to meet all of the requirements, he obtained exceptional grades in physics and mathematics. On the advice of the principal of Zürich Polytechnic, he attended the Argovian cantonal school in Aarau, Switzerland, to finish his secondary schooling. This he did between 1895-96, while staying with the family of a professor. In September 1896, he passed the Swiss exit exam with mostly good grades, including top grades in physics and mathematical subjects. Though only 17, he enrolled in the four-year mathematics and physics teaching diploma program at the Zürich Polytechnic. It was there that he met his first and future wife, Mileva Maric, a Serbian national and the only woman among the six students in the mathematics and physics section. The two would marry in 1904 and have two sons, but would divorce by 1919 after living apart for five years. Afterward, Einstein remarried, this time to his cousin Elsa Löwenthal – with whom he remained married until her death in 1939. It was also during this time that Einstein went on to make his greatest scientific achievements. In 1900, Einstein was awarded the Zürich Polytechnic teaching diploma. After graduating, he spent close to two years searching for a teaching post and acquired his Swiss citizenship. Eventually, and with the help of his friend and colleague Marcel Grossmann’s father, Einsten secured a job in the Federal Office for Intellectual Property in Bern. In 1903, his position became permanent. Much of Einstein’s work at the patent office was related to questions about the transmission of electric signals and the electrical-mechanical synchronization of time. These technical problems would show up repeatedly in Einstein’s thought experiments, eventually leading him to his radical conclusions about the nature of light and the fundamental connection between space and time. In 1900, he published a paper titled “Folgerungen aus den Capillaritätserscheinungen” (“Conclusions from the Capillarity Phenomena”). Drawing on Newton’s theory of universal gravitation, he proposed in this paper that the theory that the interactions between all molecules are a universal function of distance, in analogy with the inverse-square force of gravity. This would later be proven to be incorrect, but the publication of the paper in the prestigious Annalen der Physik (Journal of Physics) garnered attention from the academic world. On April 30th, 1905, Einstein completed his thesis under the watchful eye of Professor Alfred Kleiner, the university’s Professor of Experimental Physics. His dissertation – which was titled, “A New Determination of Molecular Dimensions” – earned him a PhD with the University of Zürich. That same year, in an explosion of creative intellectual energy – what is known as his “annus mirabilis” (miracle year) – Einstein also published four groundbreaking papers on the photoelectric effect, Brownian motion, special relativity, and the equivalence of mass and energy, which would bring him to the notice of the international scientific community. By 1908, he was appointed as a lecturer at the University of Bern. The following year, after giving a lecture on electrodynamics and the relativity principle at the University of Zurich, Alfred Kleiner recommended him to the faculty for a newly created professorship in theoretical physics. Einstein was appointed associate professor in 1909. In April 1911, Einstein became a full professor at the Charles-Ferdinand University in Praque, which was part of the Austro-Hungarian Empire at the time. During his time in Prague, he wrote 11 scientific works, 5 of which were on radiation mathematics and on the quantum theory of solids. In July 1912, he returned to Switzerland and the ETH Zürich, where he taught about analytical mechanics and thermodynamics until 1914. During his time at the ETH Zürich, he also studied continuum mechanics, andthe molecular theory of heat and the problem of gravitation. In 1914, he returned to Germany and was appointed director of the Kaiser Wilhelm Institute for Physics (1914–1932) and a professor at the Humboldt University of Berlin. He soon became a member of the Prussian Academy of Sciences, and from 1916 to 1918 he served as president of the German Physical Society. In 1920, he became Foreign Member of the Royal Netherlands Academy of Arts and Sciences, and was elected a Foreign Member of the Royal Society (ForMemRS) in 1921. In 1933, Einstein visited the United States for the third time. But unlike previous visits – where he conducted lecture series and tours – on this occasion he knew he could not return to Germany, due to the rise of Nazism under Adolf Hitler. After performing his third two month visiting professorship at American universities, he and wife Elsa traveled to Antwerp, Belgium in March of 1933. Upon their arrival, when they learned that their cottage had been raided by the Nazis and their personal sailboat confiscated, Einstein renounced his German citizenship. A month later, Einstein’s works were among those targeted by Nazi book burnings, and he was placed on a list of “enemies of the German regime”, with a bounty of $5000 on his head. During this period, Einstein became part of a large community of German and Jewish ex-patriots in Belgium, many of whom were scientists. For the first few months, he rented a house in De Haan, Belgium, where he lived and worked. He also dedicated himself to helping Jewish scientists escape persecution and murder at the hands of the Nazis. In July 1933, he went to England at the personal invitation of his friend and naval officer Commander Oliver Locker-Lampson. While there, he met with then-Member of Parliament Winston Churchill and former Prime Minister Lloyd George, and asked them to help bring Jewish scientists out of Germany. According to one historian, Churchill dispatched physicist Frederick Lindemann to Germany to seek out Jewish scientists and place them in British universities. Einstein later contacted leaders of other nations, including Turkish Prime Minister Ismet Inönü to ask for help resettling of Jewish citizens fleeing the Nazis. In September 1933, he wrote to Inönü, requesting the placement of unemployed German-Jewish scientists. As a result of Einstein’s letter, Jewish invitees to Turkey eventually totaled over 1,000 individuals. Though Locker-Lamspon urged Britain’s parliament to extend citizenship to Einstein, his efforts failed, and Einstein accepted an earlier offer from the Princeton Institute for Advanced Study in New Jersey to become a resident scholar. In October 1933, Einstein arrived in the U.S. and took up the position. At the time, most American universities had minimal or no Jewish faculty or students due to quotas that limited the number of Jews that could enroll or teach. These would expire by 1940, but remained a barrier for American-Jewish scientists to participate fully in academic life and receive a university education. In 1935, Einstein applied for permanent citizenship in the US, which he was granted in 1940. He would remain in the US and maintain his affiliation with the Institute for Advanced Study until his death in 1955. During this period, Einstein tried to develop a unified field theory and to refute the accepted interpretation of quantum physics, both unsuccessfully. During World War II, Einstein played an important role in the creation of The Manhattan Projectthe – development of the atomic bomb. This project began after Einstein was approached by a group of scientists led by Hungarian physicist Leó Szilárd in 1939. After hearing their warnings of a Nazi nuclear weapons program, he co-wrote a letter to then-President Roosevelt, warning him about the extreme danger of such a weapon in Nazi hands. According to historians Sarah J. Diehl and James Clay Moltz, the letter was “arguably the key stimulus for the U.S. adoption of serious investigations into nuclear weapons on the eve of the U.S. entry into World War II”. In addition to the letter, Einstein used his connections with the Belgian Royal Family and the Belgian queen mother to get access with a personal envoy to the White House’s Oval Office, where he met with Roosevelt to discuss the danger personally. As a result of Einstein’s letter and his meetings with Roosevelt, the U.S. initiated The Manhattan Project and mobilized all the necessary resources to research, build and test the atomic bomb. By 1945, this aspect of the arms race was won by the Allied Powers, as Germany had never succeeded in creating an atomic weapon of their own. Though Einstein made many significant achievements over the years, and is widely known for his contribution to the establishment of The Manhattan Project, his most famous theory is that which is represented by the simple equation E=mc² (where E is energy, m is mass, and c is the speed of light). This theory would overturn centuries of scientific thinking and orthodoxies. But of course, Einstein did not develop this theory in a vacuum, and the road that led him to conclude that time and space were relative to the observer was long and winding. Einstein’s eventual hypothesis of relativity was in large part an attempt to reconcile Newton’s laws of mechanics with the laws of electromagnetism (as characterized by Maxwell’s equations and the Lorentz force law). As of 1905, when Einstein published his seminal paper “On the Electrodynamics of Moving Bodies“, the working consensus among scientists held that light traveling through a moving medium would be dragged along by the medium. This in turn meant that the measured speed of the light would be a simple sum of its speed through the medium plus the speed of that medium. This theory also held that space was filled with a “luminiferous aether”, a hypothetical medium that was believed to be necessary for the propagation of light throughout the universe. In accordance, this aether would either be dragged by, or transported within, moving matter. However, this consensus resulted in numerous theoretical problems which by Einstein’s time, had remained unresolved. For one, scientists had failed to find an absolute state of motion, which indicated that the relativity principle of motion (i.e. that only relative motion is observable, and there is no absolute standard of rest) was valid. Second, there was also the ongoing problem posed by “stellar abberation”, a phenomena where the apparent motion of celestial bodies about their locations was dependent on the velocity of the observer. In addition, tests performed on the speed of light in water (the Fizeau experiment) indicated that light traveling through a moving medium would be dragged along by the medium, but not nearly as much as expected. This supported other experiments – such as Fresnel’s partial aether-drag hypothesis and the experiments of Sir George Stokes – which proposed that the aether is either partially or entirely carried along by matter. Einstein’s theory of special relativity was groundbreaking in that he argued that the speed of light is the same in all inertial reference frames, and introduced the idea that major changes occur when things move close the speed of light. These include the time-space frame of a moving body appearing to slow down and contract in the direction of motion when measured in the frame of the observer. Known as Einstein’s Theory of Special Relativity, his observations reconciled Maxwell’s equations for electricity and magnetism with the laws of mechanics, simplified the mathematical calculations by doing away with extraneous explanations used by other scientists, and made the existence of an aether entirely superfluous. It also accorded with the directly observed speed of light and accounted for the observed aberrations. Naturally, Einstein’s theory met with mixed reactions from the scientific community, and would remain controversial for many years. With his one equation, E=mc², Einstein had vastly simplified the calculations necessary to understand how light propagates. He also suggested, in effect, that space and time (as well as matter and energy) were merely different expressions of the same thing. Between 1907 and 1911, while still working at the patent office, Einstein began considering how special relativity could be applied to gravity fields – what would come to be known as the Theory of General Relativity. This began with an article titled, “On the Relativity Principle and the Conclusions Drawn from It“, published in 1907, in which he addressed how the rule of special relativity might also apply to acceleration. In short, he argued that free fall is really inertial motion; and for the observer, the rules of special relativity must apply. This argument is also known as the Equivalence Principle, which states that gravitational mass is identical to inertial mass. In the same article, Einstein also predicted the phenomenon of gravitational time dilation – where two observers situated at varying distances from a gravitating mass perceive a difference in the amount of time between two events. In 1911, Einstein published “On the Influence of Gravitation on the Propagation of Light“, which expanded on the 1907 article. In this article, he predicted that a box containing a clock that was accelerating upwards would experience time faster than one that was sitting still within an unchanging gravitational field. He concludes that the rates of clocks depend on their position in a gravitational field, and that the difference in rate is proportional to the gravitational potential to first approximation. In the same article, he predicted that the deflection of light would depend upon the mass of the body involved. This proved to be especially influential, because for the first time, he had offered a testable proposition. In 1919, German astronomer Erwin Finlay-Freundlich urged scientists around the world to test this theory by measuring the deflection of light during the solar eclipse of May 1929. Einstein’s prediction was confirmed by Sir Arthur Eddington, who’s observations were announced shortly thereafter. On Nov. 7th, 1919, the The Times published the results under the headline: “Revolution in Science – New Theory of the Universe – Newtonian Ideas Overthrown”. General Relativity has since developed into an essential tool in modern astrophysics. It provides the foundation for the current understanding of black holes, regions of space where gravitational attraction is so strong that not even light can escape. Einstein also helped advance the theory of quantum mechanics. 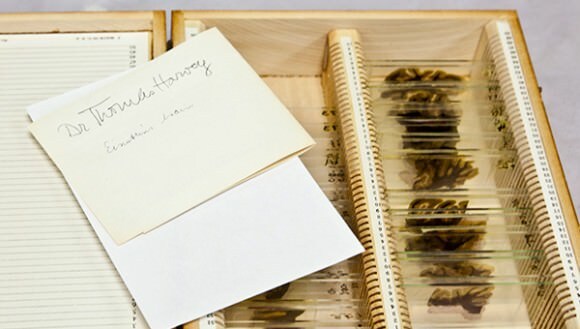 Throughout the 1910s, this science was expanding in scope to cover many different systems. Einstein contributed to these developments by advancing the theory of quanta to light and used it to account for various thermodynamic effects that contradicted classical mechanics. In his 1905 paper, “On a Heuristic Point of View Concerning the Production and Transformation of Light“, he postulated that light itself consists of localized particles (i.e. quanta). This theory would be rejected by his contemporaries – including Neils Bohr and Max Planck – but would be proven by 1919 with experiments that measured the photoelectric effect. He expanded on this further in his 1908 paper, “The Development of our Views on the Composition and Essence of Radiation“, where he showed that Max Planck’s energy quanta must have well-defined momenta and act in some respects as independent, point-like particles.This paper introduced the photon concept and inspired the notion of wave–particle duality (i.e. light behaving as both a particle and a wave) in quantum mechanics. In his 1907 paper, “Planck’s Theory of Radiation and the Theory of Specific Heat“, Einstein proposed a model of matter where each atom in a lattice structure is an independent harmonic oscillator – existing in equally spaced, quantized states. He proposed this theory because it was a particularly clear demonstration that quantum mechanics could solve the specific heat problem in classical mechanics. In 1917, Einstein published an article titled, “On the Quantum Theory of Radiation” that proposed the possibility of stimulated emission, the physical process that makes possible microwave amplification and the laser. This paper was enormously influential in the later development of quantum mechanics, because it was the first paper to show that the statistics of atomic transitions had simple laws. This work would go on to inspire Erwin Schrödinger’s 1926 article, “Quantization as an Eigenvalue Problem“. In this article, he published his now-famous Schrödinger’s equation, where he describes how the quantum state of a quantum system changes with time. This paper has been universally celebrated as one of the most important achievements of the twentieth century and created a revolution in most areas of quantum mechanics, as well as all physics and chemistry. Interestingly enough, in time, Einstein would become displeased with the theory of quantum mechanics that he helped create, feeling that it was inspiring a sense of chaos and randomness in the sciences. In response, he made his famous quote: “God is not playing at dice”, and returned to the study of quantum phenomena. This led him to propose the Einstein–Podolsky–Rosen paradox (EPR paradox) named for Einstien and his associates – Boris Podolisky and Nathan Rosen. In their 1935 article titled, “Can quantum-mechanical description of physical reality be considered complete?”, they claimed to demonstrate that quantum entanglement violated the local realist view of causality – with Einstein referring to it as “spooky action at a distance”. In so doing, they asserted that the wave function of quantum mechanics did not provide a complete description of physical reality, an important paradox that would have important implications for the interpretation of quantum mechanics. While the EPR paradox would be proven incorrect after Einstein’s death, it helped contribute to a field that he helped create, but would later attempt to disprove until the end of his days. In 1917, Einstein applied the General Theory of Relativity to model the structure of the universe as a whole. Though he preferred the idea of a universe that was eternal and unchanging, this was not consistent with his theories about relativity, which predicted that the universe was either in a state of expansion or contraction. To address this, Einstein introduced a new concept to the theory, known as the Cosmological Constant (represented by a Lambda). The purpose of this was to rectify the effects of gravity and allow the whole system to remain an eternal, static sphere. However, in 1929, Edwin Hubble confirmed that the universe is expanding. After visiting the Mount Wilson Observatory with Hubble, Einstein formally discarded the cosmological constant. However, the concept was revisited in late 2013, when a previously undiscovered manuscript by Einstein (titled “About the Cosmological Problem“) was discovered. In this manuscript, Einstein proposed a revision of the model, in which the constant was responsible for the creation of new matter as the universe expanded – thus ensuring that the average density of the universe never changed. This is consistent with the now-obsolete Steady State model of cosmology (proposed later in 1949) and with today’s modern understanding of dark energy. In essence, what Einstein described in many of his biographies as his “biggest blunder” would eventually come to be reassessed and considered as part of a larger mystery of the universe – the existence of invisible mass and energy that maintains the cosmological balance. In 1931, Indian-American astrophysicist Subrahmanyan Chandrasekhar calculated, using Special Relativity, that a non-rotating body of electron-degenerate matter above a certain limiting mass would collapse in on itself. In 1939, Robert Oppenheimer and others concurred with Chandrasekhar’s analysis, claiming that neutron stars above a prescribed limit would collapse into black holes, and concluded that no law of physics was likely to intervene and stop at least some stars from collapsing to black holes. Oppenheimer and his co-authors interpreted the singularity at the boundary of the Schwarzschild radius as indicating that this was the boundary of a bubble in which time stopped. To the outside observer, they would see the surface of the star frozen in time at the instant of collapse, but an infalling observer would have an entirely different experience. In addition to revolutionizing our understanding of time, space, motion and gravity with his theories of special and general relativity, Einstein also made numerous other contributions to the field of physics. In fact, Einstein published hundreds of books and articles in his life, as well as more than 300 scientific papers and 150 non-scientific ones. On December 5th, 2014, universities and archives around the world began officially releasing Einstein’s collected papers, which comprised more than 30,000 unique documents. For example, two papers which were published in 1902 and 1903 – “Kinetic Theory of Thermal Equilibrium and of the Second Law of Thermodynamics” and “A Theory of the Foundations of Thermodynamics” – dealt with the subject of thermodynamics and Brownian motion. By definition, Brownian motion states that where a small amount of particles are oscillating with no preferred direction, they eventually spread to fill the entire medium. Addressing this from a statistical point of view, Einstein believed that the kinetic energy of oscillating particles in a medium could be imparted to larger particles, which in turn could be observed under the microscope – thus proving the existence of atoms of varying sizes. These papers were the foundation for the 1905 paper on Brownian motion, which showed that it can be construed as firm evidence that molecules exist. This analysis would later be verified by French physicist Jean-Baptiste Perrin, and Einstein was awarded the Nobel Prize for Physics in 1926. His work established the physical theory of Brownian motion and ended the skepticism about the existence of atoms and molecules as actual physical entities. Following his research on General Relativity, Einstein entered into a series of attempts to generalize his geometric theory of gravitation to include electromagnetism as another aspect of a single entity. In 1950, he described his “unified field theory” in an article entitled, “On the Generalized Theory of Gravitation“, which describes his attempt to resolve all fundamental forces of the universe into one framework. Although he continued to be lauded for his work, Einstein became increasingly isolated in his research, and his efforts were ultimately unsuccessful. Nevertheless, Einstein’s dream of unifying other laws of physics with gravity continues to this day, informing efforts to develop a Theory of Everything (ToE) – in particular String Theory, where geometrical fields emerge in a unified quantum-mechanical setting. His work with Podolsky and Rosen, hoping to disprove the concept of quantum entanglements, also led Einstein and his colleagues to propose a model of a wormhole. By using Schwarzschild’s theory on black holes, and in an attempt to model elementary particles with charge as a solution to gravitational field equations, he described a bridge between two patches of space. If one end of the wormhole was positively charged, the other end would be negatively charged. These properties led Einstein to believe that pairs of particles and antiparticles could be entangled without violating the laws of Relativity. This concept has seen quite a bit of work in recent years, with scientists having successfully created a magnetic wormhole in a lab. And in 1926, Einstein and his former student Leó Szilárd co-invented the Einstein refrigerator, a device that had no moving parts and relied only on the absorption of heat to cool its contents. In November 1930, they were awarded a patent for their design. However, their efforts were soon undermined by the Depression Era, the invention of the Freon, and the Swedish company Electrolux acquiring their patents. Attempts to resurrect the technology began in the 90s and 2000s, with student teams from Georgia Tech and Oxford University attempting to build their own version of the Einstein fridge. Due to Freon’s proven connection to ozone-depletion, and desires to reduce our impact on the environment by using less electricity, the design is considered to be an eco-friendly alternative and a useful device for the developing world. On April 17th, 1955, Albert Einstein experienced internal bleeding caused by the rupture of an abdominal aortic aneurysm, which he had sought surgery for seven years prior. He took the draft of a speech he was preparing for a television appearance, commemorating the State of Israel’s seventh anniversary, with him to the hospital, but he did not live long enough to complete it. Einstein refused surgery, saying: “I want to go when I want. It is tasteless to prolong life artificially. I have done my share, it is time to go. I will do it elegantly.” He died in Princeton Hospital early the next morning at the age of 76, having continued to work until near the end. During the autopsy, the pathologist of Princeton Hospital (Thomas Stoltz Harvey) removed Einstein’s brain for preservation, though without the permission of his family. According to Harvey, he had done this in the hopes that future generations of neuroscientists would be able to discover the cause of Einstein’s genius. Einstein’s remains were cremated and his ashes were scattered at an undisclosed location. For his lifetime of achievements, Einstein received countless honors, both during his lifetime and posthumously. In 1921, he was awarded the Nobel Prize in Physics for his explanation of the photoelectric effect, as his theory of relativity was still considered somewhat controversial. In 1925, the Royal Society awarded him the Copley Medal, the oldest Royal Society medal still awarded. In 1929, Max Planck presented Einstein with the Max Planck medal of the German Physical Society in Berlin, for extraordinary achievements in theoretical physics. In 1934 Einstein gave the Josiah Willard Gibbs lecture, an prestigious annual event where the American Mathematical Society awards a prize for achievements in the field of mathematics. In 1936, Einstein was awarded the Franklin Institute‘s Franklin Medal for his extensive work on relativity and the photoelectric effect. In 1949, in honor of Einstein’s 70th birthday, the the Lewis and Rosa Strauss Memorial Fund established the Albert Einstein Award. Also known as the Albert Einstein Medal (because it is accompanied with a gold medal) this award was established to recognize high achievement in theoretical physics and the natural sciences. Since his death, Einstein has been honored by having countless schools, buildings, and memorials named after him. The Luitpold Gymnasium, where he received his early education, was renamed the Albert Einstein Gymnasium in his honor. In August of 1955, four months after Einstein’s death, the 99th chemical element on the Periodic Table was named “einsteinium”. Also in 1955, the Albert Einstein College of Medicine, a research-intensive not-for-profit, private, and nonsectarian medical school was founded in the Morris Park neighborhood of the Bronx in New York City. Between 1965 and 1978, the US Postal Service issued a series of commemorative stamps known as the Prominent American Series. Einstein was honored with a 8¢ stamp in 1966, the second year of the series. Similar stamps were issued by the state of Israel in 1956 (a year after his death) and the Soviet Union in 1973. In 1973, an inner main belt asteroid was discovered, which was named 2001 Einstein in his honor. In 1977, the Albert Einstein Society was founded in Bern, Switzerland. Since 1979, they began issuing the Albert Einstein Medal, an annual award presented to people who have “rendered outstanding services” in connection with Einstein. In 1979, the National Academy of Sciences commissioned the Albert Einstein Memorial on Constitution Avenue in central Washington, D.C. The bronze statue depicts Einstein seated with manuscript papers in hand. In 1990, his name was added to the Walhalla temple for “laudable and distinguished Germans”, which is located in Donaustauf in Bavaria. In Potsdam, Germany, the Albert Einstein Science Park was constructed on Telegrafenberg hill. The best known building in the park is the Einstein Tower, an astrophysical observatory that was built to perform checks of Einstein’s theory of General Relativity, which has a bust of Einstein at the entrance. In 1999 Time magazine named him the Person of the Century, ahead of Mahatma Gandhi and Franklin Roosevelt, among others. In the words of a biographer, “to the scientifically literate and the public at large, Einstein is synonymous with genius”. Also in 1999, an opinion poll of 100 leading physicists ranked Einstein the “greatest physicist ever”. Also in 1999, a Gallup poll conducted recorded him as being the fourth most admired person of the 20th century in the U.S. – Mother Teresa, Martin Luther King, Jr. and John F. Kennedy ranked first through third. The International Union of Pure and Applied Physics named 2005 the “World Year of Physics” in commemoration of the 100th anniversary of the publication of the “annus mirabilis” papers. In 2008, Einstein was inducted into the New Jersey Hall of Fame. And every year, the Chicago-based Albert Einstein Peace Prize Foundation issues the Albert Einstein Peace Prize, an award that comes with a bursary of $50,000. Einstein has also been the subject of or inspiration for many novels, films, plays, and works of music. He is a favorite model for fictional representations of the mad scientist and the absent-minded professor, with depictions of these archetypes closely mirroring (and exaggerating) his expressive face and distinctive hairstyle. Einstein’s contributions to the sciences are immeasurable. When he began his career, scientists were still struggling to reconcile how Newtonian mechanics applied to an ever-widening universe. But thanks to his theories, we would come to understand that there are no absolute frames of reference, and everything depends on the speed and position of the observer. His work with the behavior of light would also help speed the revolution being made in quantum physics, where scientists began to understand the behavior of matter at the subatomic level. In so doing, Einstein helped to create the two pillars of modern science – Relativity, for dealing with objects on the macro scale; and quantum mechanics, which deals with things on the tiniest of scales. But Einstein’s legacy goes far beyond what he advanced in his lifetime. In attempting to reconcile his personal beliefs in a universe that made sense with his scientific findings, he introduced a concept that would later become part of our current cosmological models (Dark Matter). These and other ideas would go on to be reconsidered after his death, thus proving that he was not only the greatest mind of his time, but perhaps one of the greatest minds that ever lived. We have written many articles about Albert Einstein for Universe Today. Here’s an article about the speed of light, and one about Why Einstein Will Never Be Wrong, and Einstein’s Theory of Relativity. And here’s are some famous Albert Einstein quotes. For more information, check out Albert Einstein’s biographical page at Biography.com and NobelPrize.org. Einstein’s famous equation is always presented in “local form” as E=mc^2 . This is the form used on timed tests in the schools because it is computationally friendly. But it could also be re-written as E/(1/c)^1 = m/(1/c)^3 which is the “non-local” form. The latter is not computationally friendly, but it is much more useful conceptually if you want to know how the universe is constructed. 1. Mass is clearly a three-dimensional form of energy. 2. The Universe not only has built-in math (enough of a mystery), it also has built in UNIT QUANTITIES: 1/1^1 = 1/1^3 . 3. To get the dimensionless form, c is a unit of speed, and 1/c is is a unit of energy. Not surprisingly, 1/c appears in the denominator, much like ONE dollar appears in unit pricing at the grocery store. In this form, there is no need for G, the universal gravitational constant. A space/time term (velocity) can be represented in a normal, vectorial reference system as composed of a magnitude and a direction. But the time/space terms are non-local, directionless, and have only a magnitude. Energy (t/s), for instance, is non-vectorial and has only a magnitude. 5. All physics equations can be written in terms of pure space and time terms. Mass and charge are not needed as fundamental concepts. Nor are concepts such as gluons, and gravitons. 6. Mass (t^3/s^3) is fundamentally non-directional in a spatial reference system. It is a “when” motion in a “where” reference system. If I jump out of a tree, the Earth rushes out to meet me (as per Einstein). If I jump out of a tree on the diametrically opposite side of the Earth, the Earth still rushes out to meet me in the same manner. The motion of mass is non-directional. In other words, the motion is spherically distributed; its intensity will be proportional to 1/r^2 . 7. If I just sit in a chair, I have no spatial motion (at least not in our system of reference which is based on differential space). But my watch still ticks, and so my time coordinate is changing. I am actually in motion, but only of the temporal kind. That means my nature is like that of mass. I wish the schools would present the non-local forms of the physics equations. While the local forms are very practical, the non-local forms give much more insight on how the Universe actually works. Einstein later took responsibility for his mistake, saying it was his “greatest blunder”. I wouldn’t mind having a “Greatest blunder” like that. The descriptions here of what “Special Relativity” and “General Relativity” really muddy what Einstein was investigating. Special Relativity explores and describes the motion of an electron in a circuit. The equations that govern the world from the electron’s point of view and the wire’s point of view prior to Einstein were quite different and nobody could figure out why. Special Relativity is the relationship between the two. General Relativity is similar, but relates the general motion of any body to its surroundings. This includes things light bending around a star and the motion of Mercury. I’ll bite? He was an alien overlord. Just look at that hair doo! A dead giveaway… Donald Trump too? If so, they are clearly separated by a vast gulf of intelligence and humanity. a great man, living and working among other great physicists, in an amazing time for physics (late 19th- early 20th century).